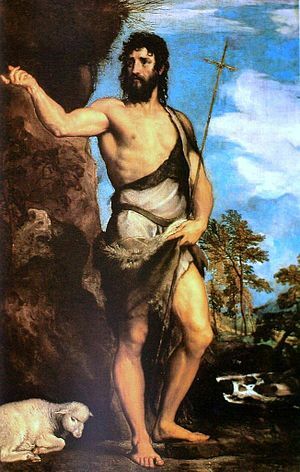 Jesus – John the Baptist – .. .. and the mortals – Nostradamus, Plato, Kant and .. .. have all spoken about – one and same, yet variously named – Kingdom of God, Garden of Eden, Age of Aquarius, Utopia, .. ..! Do we need to wait for Shift of Planet – End of Civilization? A Prophet is one – who instead of relishing from the tree top; the climb over caused so many cuts and bruises to him; delights in throwing down the fruits at pausing passer-by from the rushing crowd. All he looks for is a little taste less bread when hungry – for he de tastes the cleverness that goes with money earning. He wanders about in nondescript attire unimpressed by the distinguished gold diggers and worshippers of wealth. He is a Romeo with broken heart as his overtures of divine love are mostly un responded. He constantly undergoes the agony of a dumb lamb baying amidst articulate, wise crowd of babbling humanity. His solace is with the mammals who linger over wherever they meet him. He is one insane among all sane to learn that speaking about God needs far more herculean efforts than meeting the God.